If you have children, then you’re probably very familiar with this scenario: your kids finish their homework (or try to avoid finishing their homework), and then immediately want to turn on the TV and computer. It’s common for kids to want to engage with technology, but spending all their time hunched over the screen isn’t good for their well-being. In addition to being harmful to their health (and increasing their chances for obesity), lack of imaginative play can staunch their creativity. But how do you get them to WANT to play outside? Here are 5 ways to encourage them. Do you have pain from irritable bowel syndrome? Ever thought how to easily treat it? Or maybe you are just curious to know how to treat it? If one of the three of the questions above are a pain in your back, no more worries. We have got you covered. In this article, we will tacks some of the best ways to treat irritable bowel syndrome. But before we go through these treatments one by one, I would like to first invite you to take a look at the overview of what this article will be about. 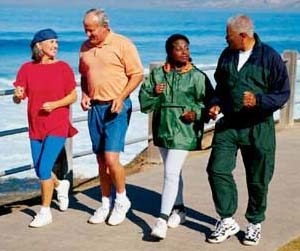 If you have an arthritic condition then you are aware of the persistent aches and pains that often accompany it. Marked by joint pain, swelling, and stiffness, you may find one, or more, of your joints forcing you to pause on more than one occasion during the day. Unfortunately this discomfort takes no break day or night, and your evening rituals may be marred by this pain each evening, or even awake you during your sleep. What Can We Do to Help Senior Citizens Through Drug Abuse and Addiction? Substance abuse is a problem that has severely plagued humanity’s last 100 years. It’s something that can affect both teens and seniors alike, and according to common knowledge on the matters of drug use, abuse, and addiction, there’s only one thing to blame: the drugs themselves. Human biology is simply too weak to fully resist the chemical hooks that latch onto brain and body, leaving a trail of addicts that need to be policed, jailed, or rehabilitated through some other means. But are the drugs themselves really to blame? Anything that’s not according to what society expects, or is slightly different from how an average man lives, makes us feel uncomfortable. Because few try to really understand and connect on a deeper level with those around them, we – the different individuals – are in anguish.But we don’t need to. All this is perfectly normal. In fact, we have the power to not just accept this lack of understanding around us and learn how to live with it, but actually turn it around and make it a positive thing. As one goes through the circle of life, one question does remain: how can we achieve true happiness? This is a topic that has been researched by numerous scientists and doctors. Yet, it seems like no one has really found an accurate answer that would define what the triggers of happiness are. In this article, I will try to outline how golf allowed me to be happy during the first 50 years of my life – I hope that you can use some of that information to make yourself happier. 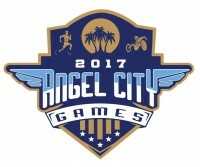 In three short years, the annual Angel City Games have become Southern California’s premiere adaptive sports event, featuring a 4 day festival of clinics, competition, activities and celebration of Paralympic sport. The 2017 edition features five adaptive sports – Swimming, Archery, Track and Field, Wheelchair Basketball and Wheelchair Tennis – and will be held 6/22-25 on the campus of UCLA. Competition is sanctioned by Adaptive Sports USA and USA Track and Field, and results can qualify youth athletes for the National Junior Disability Championships. As life goes by, it is key to start taking advantage of the time we do have. Life is an enigmatic concept, and it is often too late when we get reminded to truly enjoy it. For that reason, I do believe that each of us should be entitled to live a fulfilling life, every day. One of the ways to reach this goal is to play sports extensively. Not any type of sports, but specifically sports that will make you a better person. As I happen to know so well, golf is one of them. Should High Blood Pressure be Approached Differently? May is high blood pressure month, so it’s a great time to explore the causes and effects of high blood pressure and how the medical field (and society in general) can approach it differently. High blood pressure is extremely common, and there are lots of causes, from stress to sodium-rich diets to hereditary conditions. 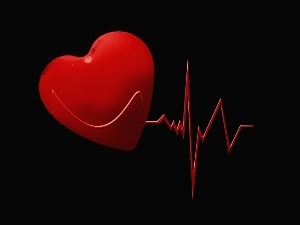 Common medications like birth control pills also cause blood pressure to rise. 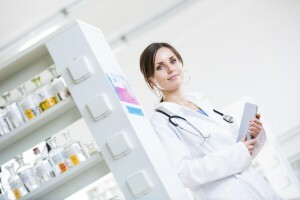 Remote Diagnostics is a healthcare technology which allows the healthcare practitioners to identify the nature of illnesses or any other problems outside the conventional healthcare settings such as at home or in the work place by use of such ingenious apparatus as telehealth response watch, RPM sensors, general examination camera and appropriate interactive software for the analysis and presentation of the captured data.